The World Equestrian Center, also known as WEC, is one of the premier indoor show grounds of the midwest, located in Wilmington, Ohio. Exhibitors from around the world come to try for their shot at the gorgeous ribbons. All aspects of English riding are on display, from the fast-paced scene of the Jumpers to the calmer points found in the Hunter ring. 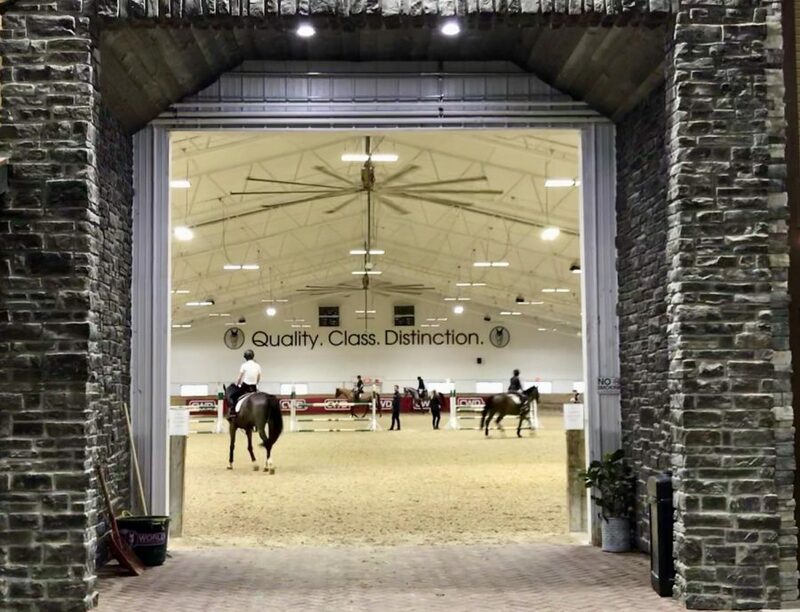 At the World Equestrian Center there is a variety of spacious warm up arenas for the horse and rider to prep prior to their event. Here horses warm up before going in for their jumper trip.